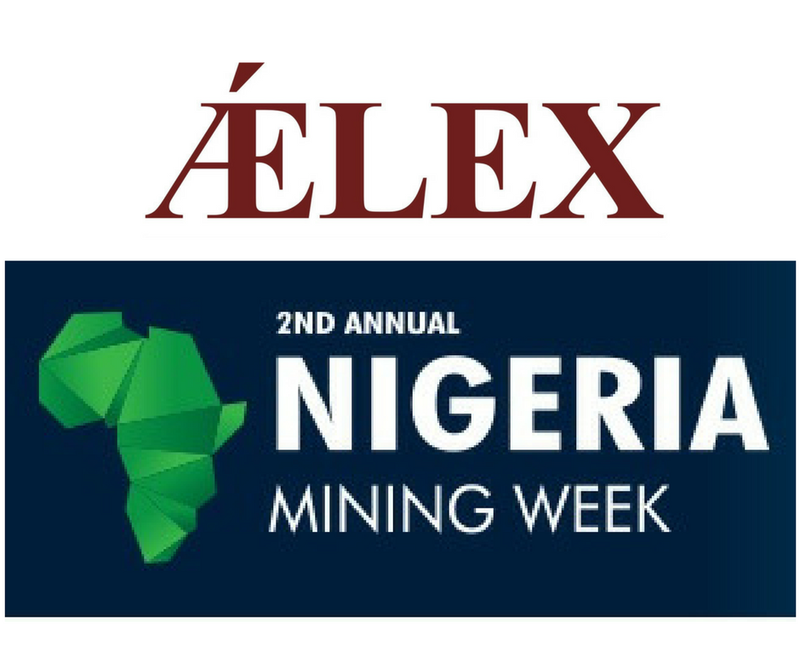 ǼLEX is pleased to sponsor the 2nd edition of the annual Nigeria Mining Week organised by the Federal Ministry of Mines & Steel Development and the Miners Association of Nigeria. The Nigeria Mining Week is taking place from the 16th to the 19th of October 2017 in Abuja, Nigeria. It will provide a unique forum and opportunity for discussing the legal, regulatory and policy issues regarding Nigeria’s mining sector and the available financing options. It also offers exclusive networking opportunities for stakeholders and service providers who are seeking new investment opportunities and reliable business relationships.